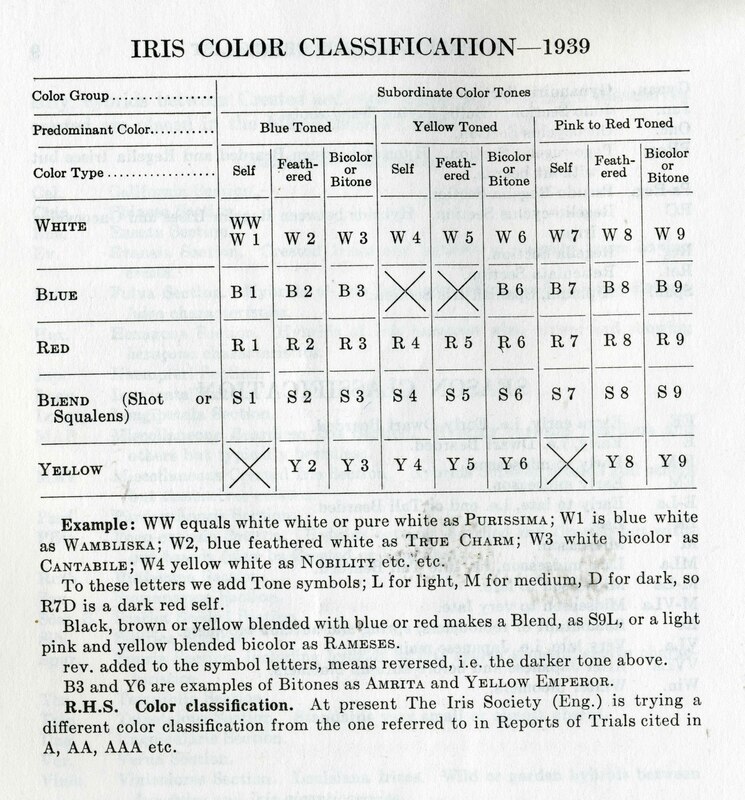 The 1939 AIS checklist did not describe varieties but gave references to descriptions in the Iris literature. It did standardize colors for Iris shows that arranged the Irises by color. To do this a color code was assigned each Iris. Below is the chart from the 1939 checklist showing the meaning of the color codes. A more complete discussion of color classification is under construction in the History web.